The best compliment of my work is to see it on the lovely bride on her special day. I really love how this piece looks in Melissa's hair and with her dress. 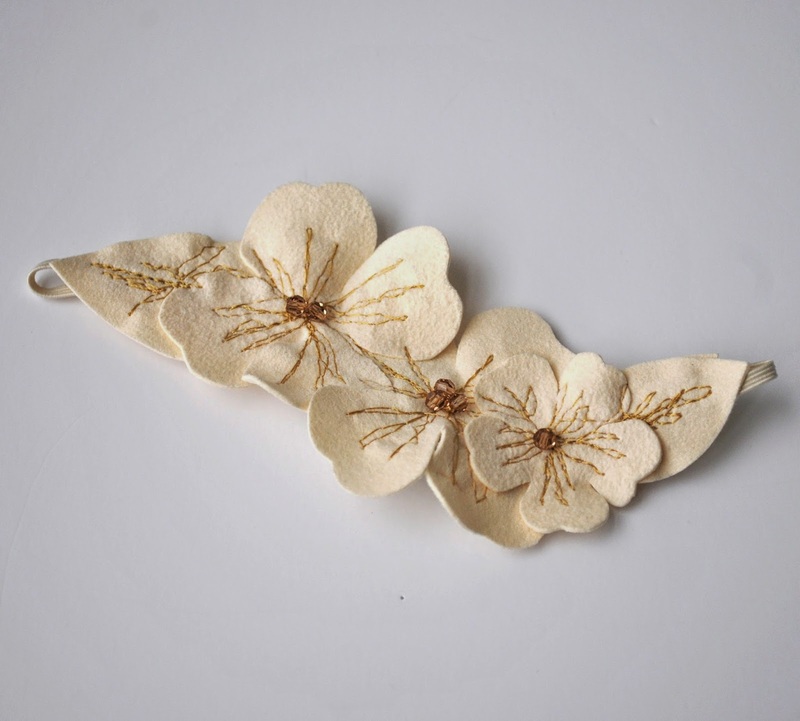 I made small elastic loops either side of the suede flowers so they could just be pinned in - it would have been super light and comfortable, not a headband headache in sight. This is a free motion embroidery piece on suede, embellished with Swarovski crystals, quite organic in its form and creation. Melissa paired it with a gorgeous gown from Leanne Marshall (the Leanne Marshall - winner of Season 5, Project Runway ;) She wanted something not overly fussy to go with the lace top and this looked just perfect! 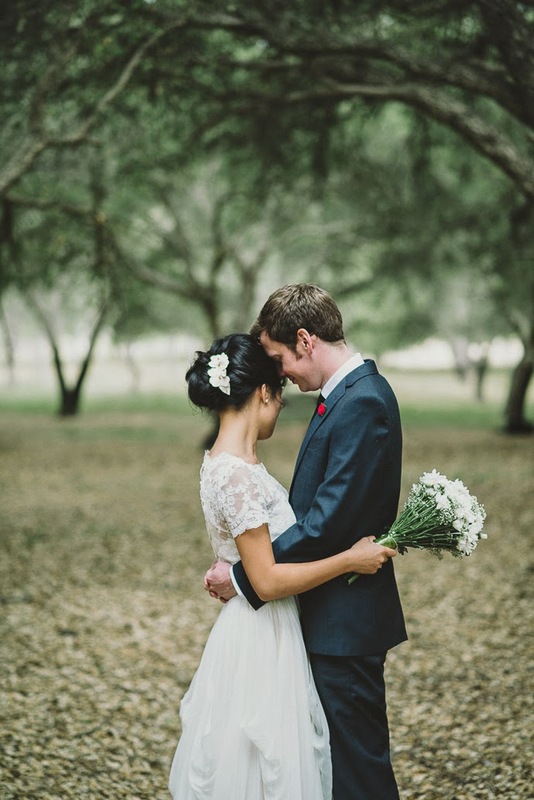 Thanks Lauren for the gorgeous photo of Sean and Mel, you can see more photos on Lauren's blog.